Box Office Prognosis: Ender Won The Box Office Game This Week, But Did It Make Enough To Kickstart A New Franchise? This weekend at the box office, the highly awaited Ender’s Game came out on top, but with a merely okay gross. Will it be enough to make the Ender series Summit’s new cash cow? No, for a number of reasons that I’ll get into later. Meanwhile, Last Vegas capitalized decently on the dirty old man market as Free Birds failed to capitalize on its significantly younger one. So how’s the box office doing this weekend ? We’ll find out tody on the Box Office Prognosis. Last week I lamented the fact that I was covering the same films week in and week out just because there was no shake ups in the Top 5, but thank god for the first week of November coming in and mixing everything up. Starting things off was Ender’s Game in the number one spot for the weekend, taking in about $27 million, which was an okay start for the sci-fi film. Granted Summit probably wanted like $15 million more to justify the $100 million budget but hey, it could have been much much worse. And like so many other sci-fi tentpoles this year, worldwide will ultimately save the film. At the end of the day though, I doubt we’ll see more from Ender’s Game—Summit might have been expecting a new franchise with this one, but that’s simply not the stories nature. Well, it is, but those sequels are very odd and certainly not suitable for adaptations. And with the film being far from a Hunger Games like success, I suspect this will be the last time we’ll see Ender on the big screen. Which is perfectly fine by me, by the way. 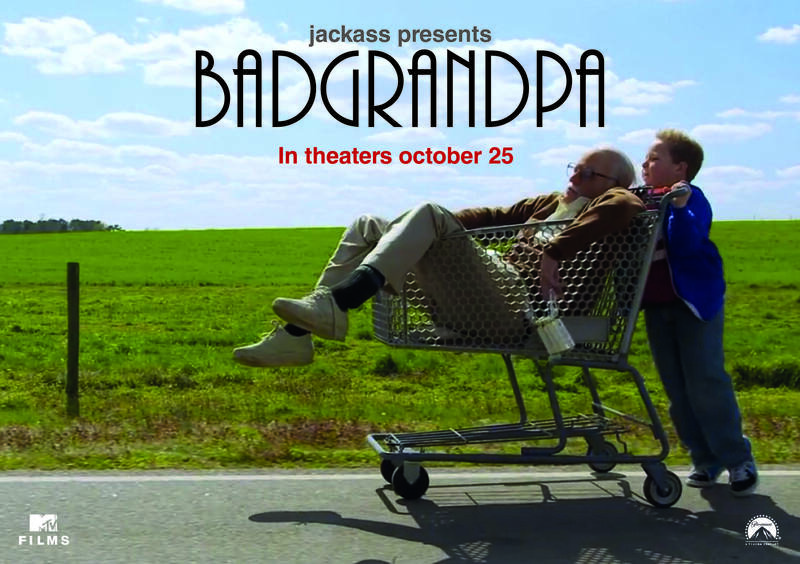 In second for the weekend is last week’s victor, Bad Grandpa. The R-rated comedy had a surprisingly strong hold over this three day frame, easing only 38 percent to a take of $20 million. That’s the best hold of a Jackass movie to date and, though it probably won’t be able to topple Jackass 3-D’s total of $117 million, it should still be able to cross the $100 million mark by the end of its run. With $61.6 million already in the can in just two weeks, it’s certainly not out of the realm of possibility at the very least. In third for the weekend was Last Vegas, the elderly comedy starring Morgan Freeman, Robert De Niro, and other talented actors too good for this kind of project. The film took in $16 million in its first week of release, which is a good start for the film considering its meager $28 million budget. Pair that with a solid “A-” Cinemascore, and you got a comedy that should have some legs as the rest of the holiday season progresses. Expect a closing sum around $50 million. At fourth place this weekend was another newcomer, Relativity Media’s Free Birds. Taking in an estimated $15.8 million for the weekend, Free Birds was a bit of an under-performer, especially considering the rather noncompetitive marketplace for family films right now. But I guess the advertising was to bland and the premise was to strange for this one to really get a mainstream audience. Still, with no animated competition until Frozen, this one will have decent legs. Expect a gross of $50 million for this one too—which will about equal its $55 million budget. 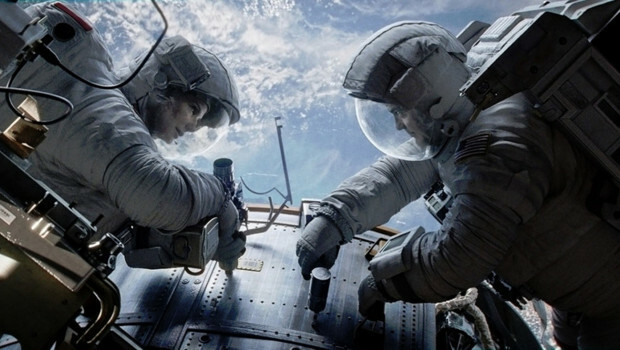 Finally in fifth was Gravity, which I’ve talked about more than enough on this column, so I’ll just give you the numbers—$12.8 million for the weekend, making a total cume of $219.9 million for the film. I was pretty on point with my Ender’s Game prediction during last week’s In Theaters, but off with both the rankings and numbers of Free Birds AND Last Vegas. I didn’t even include Bad Grandpa, figuring it would tumble to fourth with a standard drop. Last time I’ll ever underestimate horny old men again. Anyways, that does it for today’s Prognosis! Check back next Monday when Thor: The Dark World comes in to annihilate everything. See you then!